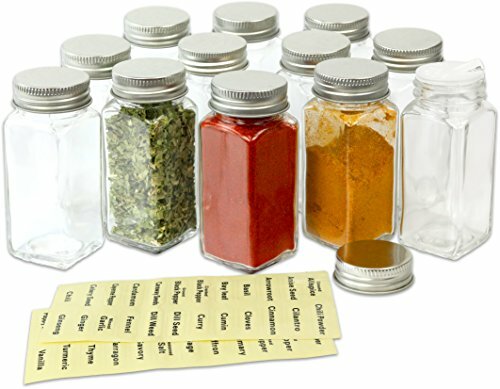 Simple Houseware 12 Square Spice bottles and 48 spice labels. 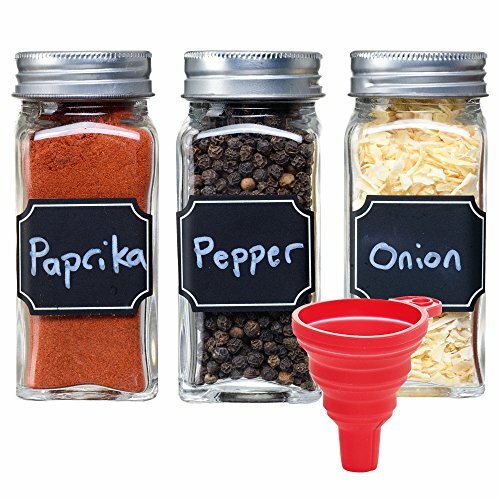 This product is useful for spice organize to easily access the favorite spices you like. 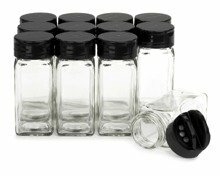 This set of 12 empty french square glass spice jars is perfect for creating your own set of custom spice blends. 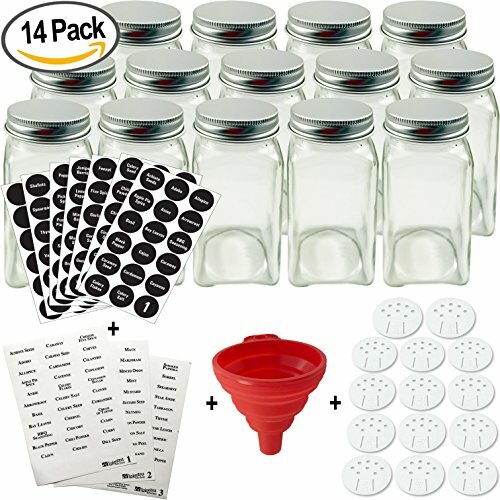 A perfect Do It Yourself starter kit. 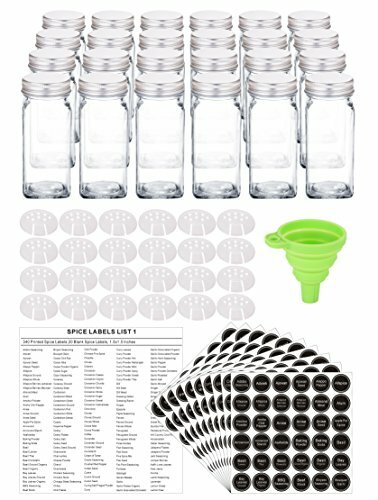 Great for wedding gifts, bridal showers, baby showers, and more! 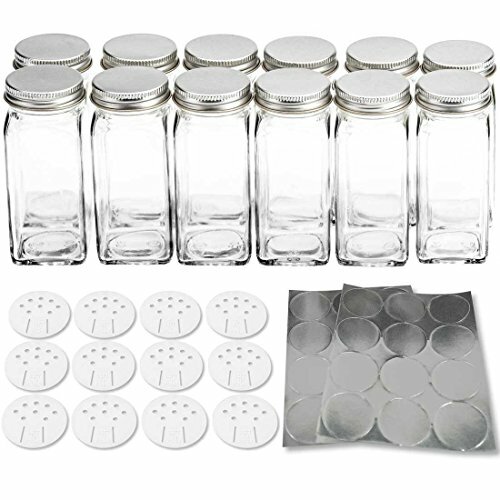 Each jar comes with a plastic snap on shaker top and a metal screw on lid. Happy blending! 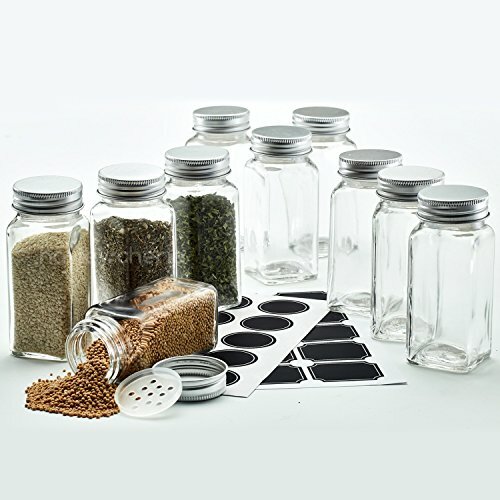 Box Contents: 12 4oz clear glass spice jars, 12 black sleek sifter lids. 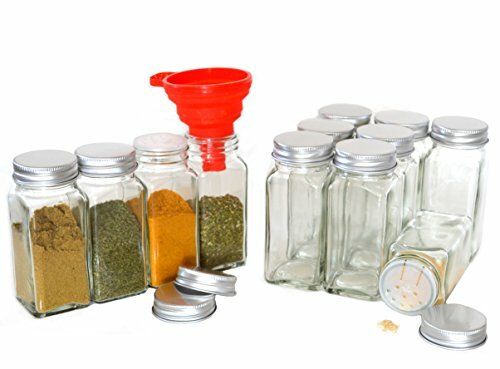 Jars stack nicely next to each other for optimal storage and organization. 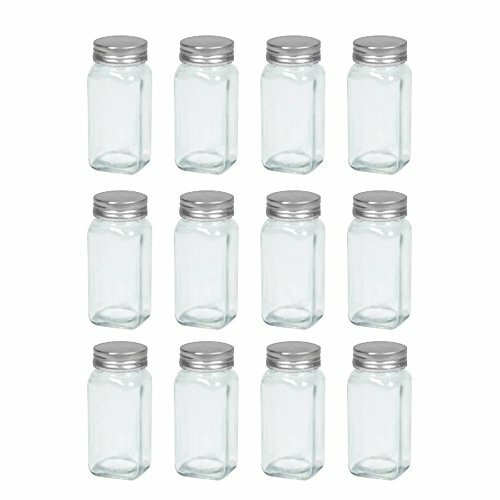 Each jar holds 4 ounces. 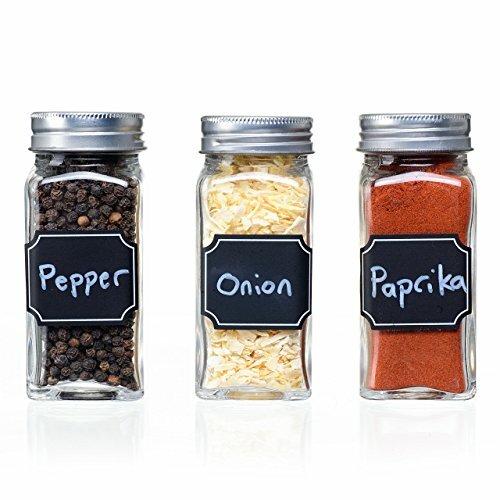 Finally, an easy way to organize, store and personalize your spices!